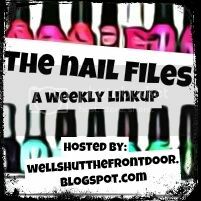 jennie's nails and tales: The Nail Files: Oui, Oui, Kiwi! Earlier this week, I was inspired by Crystal's Strawberry Mani and wanted to do something fruity, so I went through my Pinterest board and found this! Thank you, Costco, for stocking Kiwis yesterday because it made my whole life to be able to take a picture of my kiwi mani in front of a massive display of the actual thing. There was no tutorial, so I figured that I'd make one because I swear that it wasn't nearly as hard as I thought it would be. See! 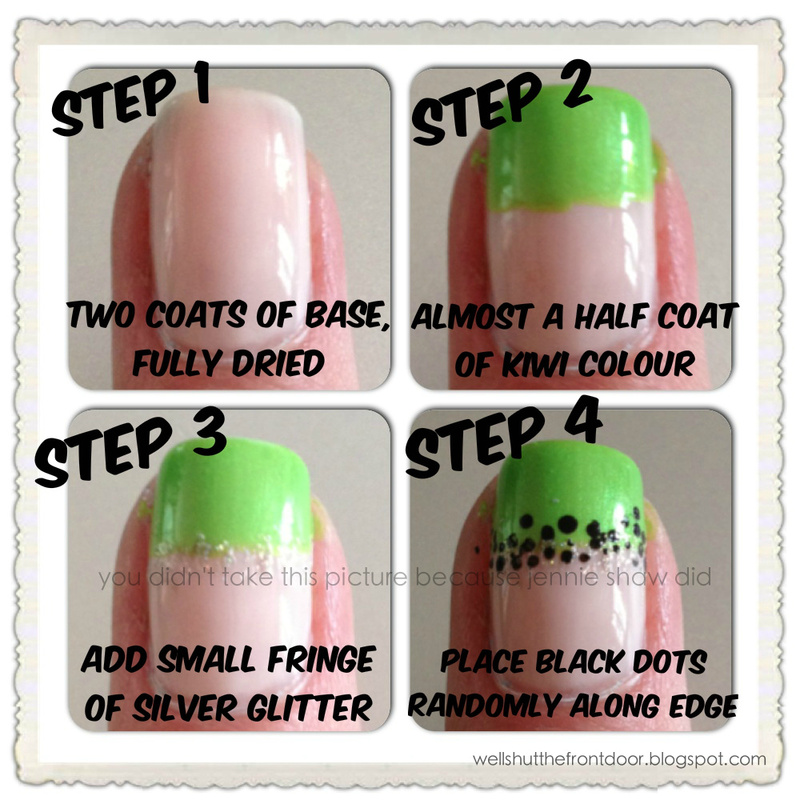 Only seven steps and you too can have awesome kiwi nails! Ha! 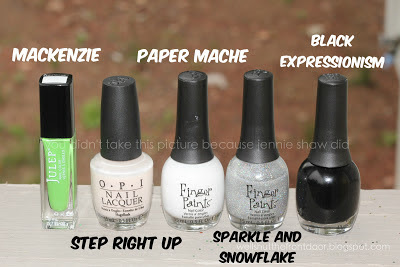 And you know what's just as awesome as a fun mani? BOOKS!! So head on over to Heather or Katie's blog for Book Club Friday and check out what people have been reading! Yay! 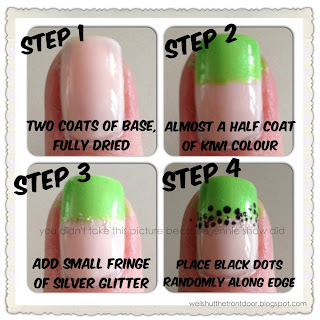 Love the Kiwi's, and your tutorial does make it look easy! Soooo cute! Glad I inspired you! Thanks for the link up! Wow those look great Jennie!! I never would have thought they'd be that easy to do!! Thanks for the step-by-step! 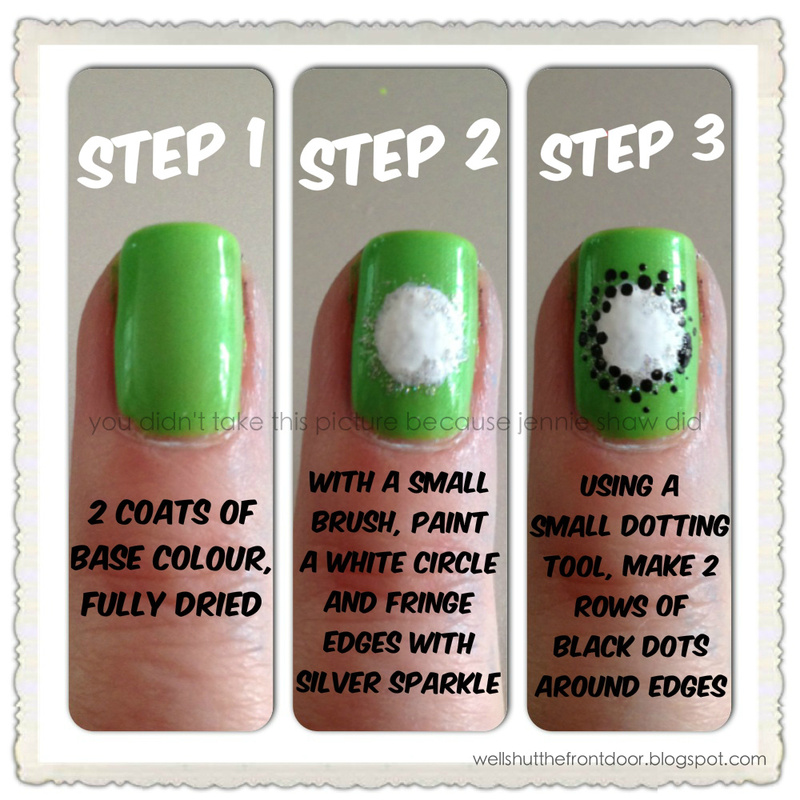 Great job on these and the easy tutorial! I'm new to blogging. How does this Link Up thing work? This looks so cool!! And very summer-y! These are awesome! 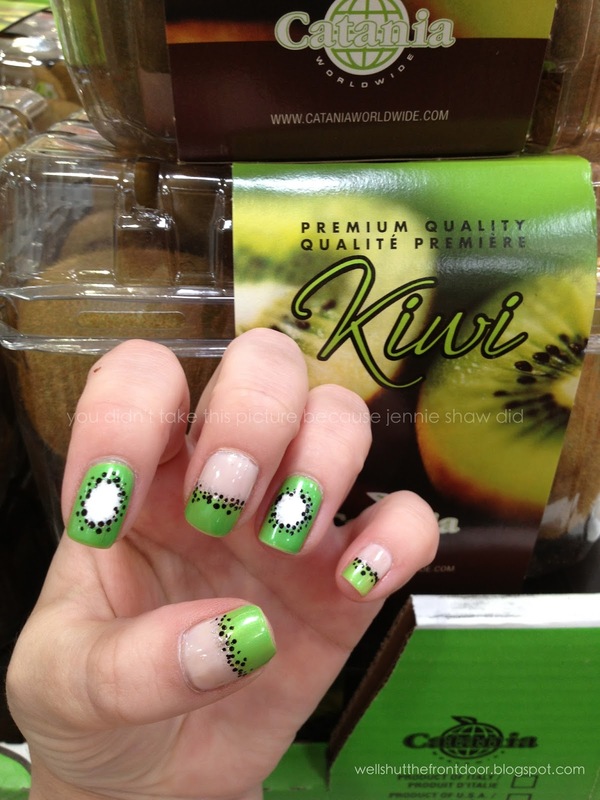 Now I want a KIWI!!! lol Great job and perfect for the summer. I may try and recreate this one week. LOVE these...as always. Just amazing! !